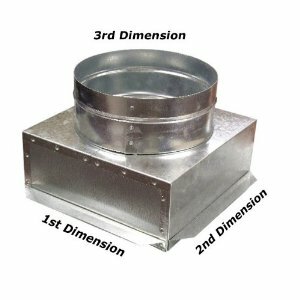 Our premium HVAC Duct Ceiling Boxes or C-Box, are used to attach a register in the ceiling to supply air in any room. Our C-Boxes are manufactured from the high quality galvanized steel. Sizes listed are the box opening widths, then the round size as the last dimension. They have a plaster ground flange attached for easy finishing to your plaster or drywall.